How an American woman left her career as a beauty therapist to become a successful health and lifestyle blogger. Starting out as a beauty therapist, Danielle Cuccio ditched her career as a qualified esthetician; a beauty therapist who specialises in cosmetic skin treatments, to become a yoga instructor who is qualified in Ayurveda Wellness and Nutrition before moving on to create her own health and beauty skincare brand Cuccio Somatology. “I graduated from UCLA in 2010 before moving onto become a beauty therapist, where I worked in the industry for over a year. Inspired by the yoga lifestyle and observing the skin of all the yogis leaving after a class with glowing skin, Danielle released there was more to loading up your skin with heavy chemical based skincare products. And discovered mixing a healthy lifestyle with the right natural beauty products was key to achieving beautiful skin. “I’d watch yogis walk out of yoga classes with glowing skin, which got me thinking about ways to achieve beautiful skin and how there was a place in the yoga and wellness world for products made just for yogis. I studied yoga, got certified as a Yoga Instructor, studied Ayurveda, Nutrition and started my health blog, The Beauty Blender. I found that true beautiful skin came from living a healthy life of exercise; particularly through the practice of yoga, staying well hydrated, eating healthy food, practicing regular relaxation and really just taking care of yourself overall. 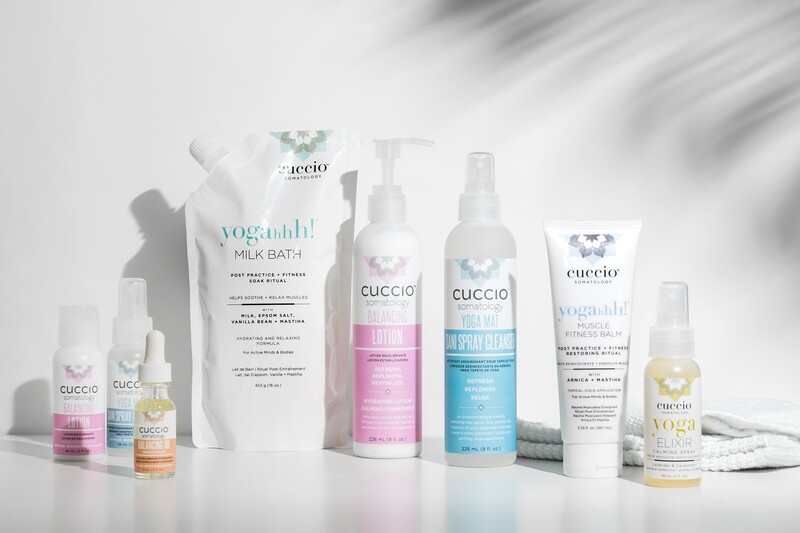 Cuccio Somatology; meaning ‘the study of the body’ is a Preventative Wellness + Yoga Brand which focuses on helping people find relaxation through the products they use and the life they lead. All products are naturally made, eco-friendly, never tested on animals and are paraben, sulfate and nasty free. Our fave is the Yogahhh! Milk Bath soak and the cooling, cleansing face wipes. 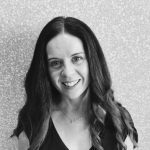 When Danielle isn’t teaching yoga or working on developing new products for her well-being line, she shares her tips of on how to achieve a healthy lifestyle with natural beauty, good food and exercise on her successful health and lifestyle blog The Beauty Blender.